The biggest fleet for a long time contested the 2015/16 Boardcrazy Australian Raceboard Titles at Royal Queensland Yacht Squadron from 27-29 November. In what looks like a resurgence in Raceboarding ahead of the November 2016 Worlds at the same venue in Brisbane, 41 competitors battled it out in a range of conditions. Day one was moderate and built to close to 20 knots, with three races. Day two started out very light, and three non-planing races were racked up. But the fourth and final race of the second day was in planing conditions. And the final day saw the wind steadily increase, and the number of starters in each race steadily decrease. Only 14 started in the tenth and final race as the gusts belted in around 30 knots. Half of those managed to finish. With the varied conditions, there were also a number of different race winners, with no one competitor dominating the event. International visitors (Poland’s Max Wojcik current Raceboard World Champion and Kiwi Bruce Trotter ) pushed the pace at the pointy end of the fleet, but they were kept honest by the local talent with James Grunfelder (NSW), light-wind specialist Richie Reynolds (NSW) and Leo Sharpe (Qld) who was loving the big breezes at the end of the regatta. Canberra sailor Doug McLean was consistently at the top of the fleet as well. The local sailors performed strongly, with James Grunfelder leading Max Wojcik after the first day. Bruce Trotter from NZ won the event on points, with Queenslander Leo Sharpe claimed the National Title by a mere one point over James. Olympic hopeful Jo Sterling finished 7th overall, and took out the honours in the Women’s event, with fellow Queenslanders and RS:X sailors Lara O'Brien in second and Shari O’Brien third. Lara also won the Youth class, with Jacob Whitford second. It was a useful hit-out for Jo, who has qualified Australia a spot in the women’s RS:X Windsurfer class for the Rio 2016 Olympic Games. Eleven Hybrid boards raced a slightly shorter course, but off the same start/finish lines. Tony Matta won the division comfortably. The race management was extremely professional and the club facilities are amongst the best in the country. Some of the competitors took advantage of the accommodation on site, including camping, dorms and apartments. And all enjoyed the food and drink at the café. Royal Queensland demonstrated it was a brilliant venue for the upcoming Worlds next November (20-25/11/16). 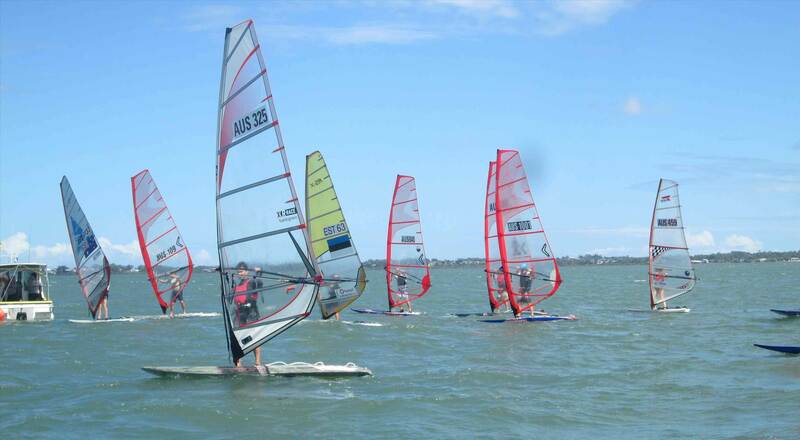 and Open Windsurfing festival for any raceboards that don't fit the above categories. 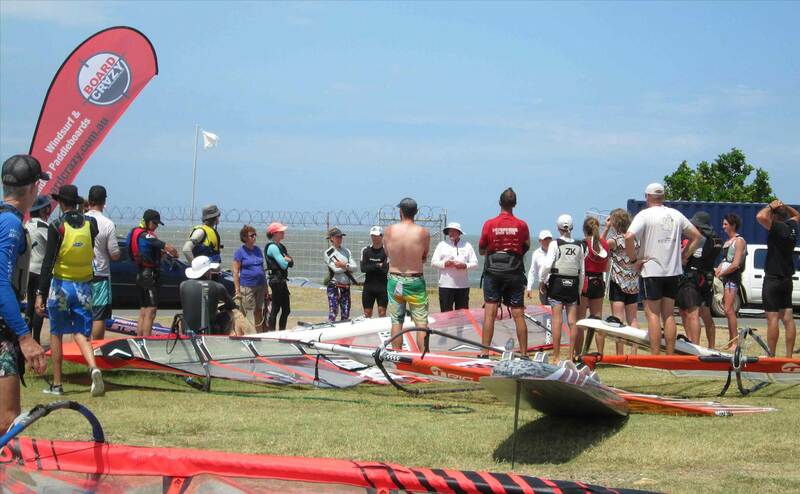 Open Festival will have a sail limit of 7.8 and 2 board length categories, (over and under 3m). Other categories may be included depending on entries.